ANGELES CITY - East-West Seed opened its Farm-Ready Concept Store in Garden Park, SM City Clark, Angeles, Pampanga on April 13 at 5:00 p.m. 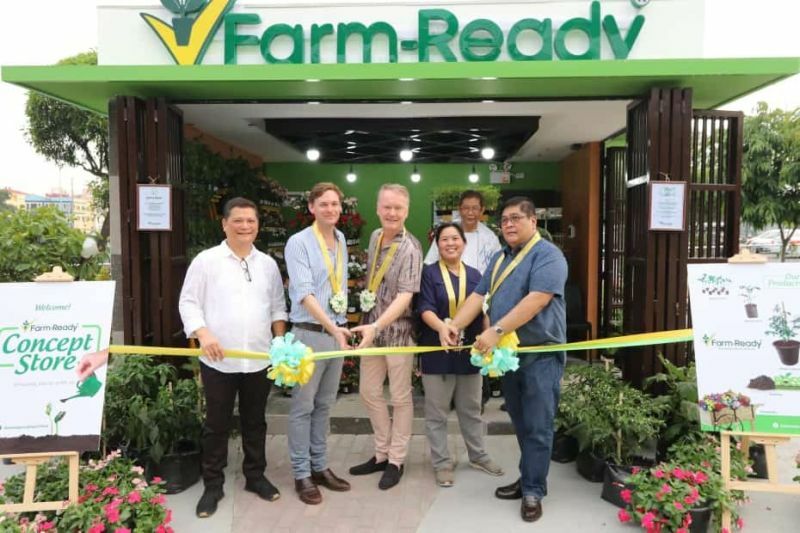 The Farm-Ready Concept Store highlights products from East-West Seed’s sister company, the Farm-Ready GG Seedling Corporation, the first professional vegetable seedling nursery in the Philippines. The concept store features high-quality vegetable seedlings that are “Ready-to-Plant,” “Ready-to-Grow,” and “Ready-to-Harvest.” It also offers Go Grow vegetable seeds, herbs, ornamentals, like the “FloweReady” seedlings, and soil media. “We aim to inspire more people to engage in growing vegetables and to live healthier by consuming more vegetables. We do this by providing them with easy access to products that can help them become more ‘farm-ready’,” says Henk Hermans, General Manager of East-West Seed Philippines. Featured Products at the Farm-Ready Concept Store Ready-to-Plant. High-quality 25 to 30 days old seedlings that are ready to be transplanted. This range includes grafted seedlings that are strong against soil-borne diseases and abiotic stresses. Ready-to-Grow. Vegetable seedlings around 40 to 45 days old and come in single small pots. Ready-to-Harvest. Fruiting plants that are ready source of nutritious vegetables. Plants are 60 to 65 days old. Available vegetable crops in fruiting stage include tomato, eggplant, hot pepper, and okra. FloweReady. Bright-colored flower seedlings like Vinca, Petunia, Balinia, and Marigold. Go Grow Vegetable Seeds. Seed packs with planting guides to help you kickstart your vegetable production journey. Best Organic Sterilized Soil Media. Organic-based sterilized media full of nutrients and recommended for potting, bedding, and sowing.